The New Day made history on Monday Night RAW they became the longest reigning WWE Tag Team Champions. The New Day broke Demolition records 478 days as WWE Tag Team Champions. I could have never imagined this ever happening especially how the New Day got introduced to the fans as a black gospel faction in 2014. This was a terrible idea because it was very stereotypical and it did not make any logical sense. 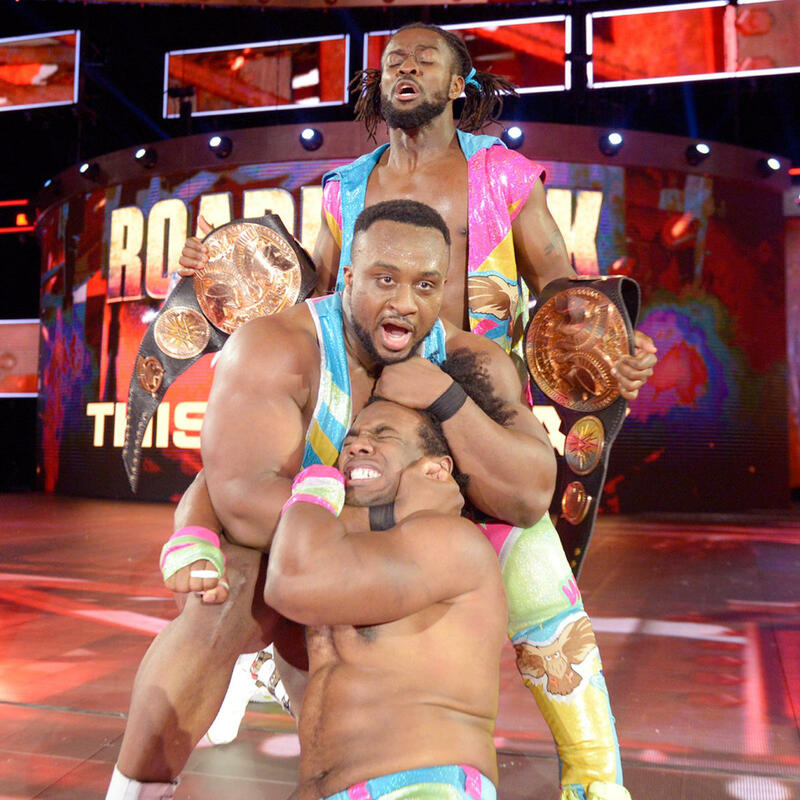 The fans were not behind The New Day when they initially debuted. They had horrible promos and vignettes. The WWE originally booked the New Day as baby faces. However, it did not go according to plan because of all the negative reaction they received from the fans. It took The New Day a couple of months to truly find their magic together and WWE decided to turn them heel. I thought that the WWE will pull the trigger on the New Day winning the WWE Tag Teams Championships at Wrestlemania 31 in a Fatal 4-Way match but they were unsuccessful. A couple months after at the Extreme Rules pay-per-view, The New Day defeated Tyson Kidd and Cesaro to capture the WWE Tag Team Championships for their first time. The unique aspect that made the New Day stand out was because they used the Free Birds rule. This means even though Kofi Kingston and Big E were recognized as WWE Tag Team Champions. On the other hand, Xavier Woods could also defend the titles at any time. At the Elimination Chamber pay-per-view, back in 2015 all three New Day members competed in the first ever tag team Elimination Chamber match. The numbers game were too much to handle as they successfully defended their WWE Tag Team Championships. 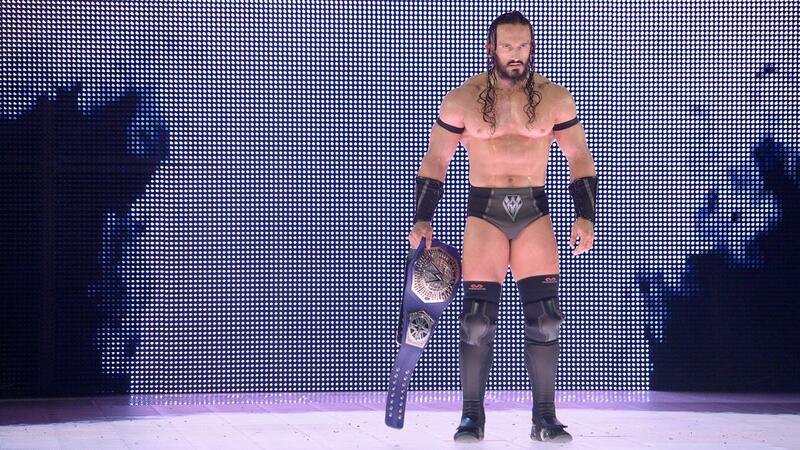 However, at Money in the Bank, Big E, and Xavier Woods lost their titles to The Prime Time Players. The New Day would recapture those titles at SummerSlam. It was a fatal four-way tag match against Prime Time Players, Los Matadores, and The Lucha Dragons. This was where the historic run for them officially began and they have brought back entertainment and comedy to wrestling with their segments weekly. 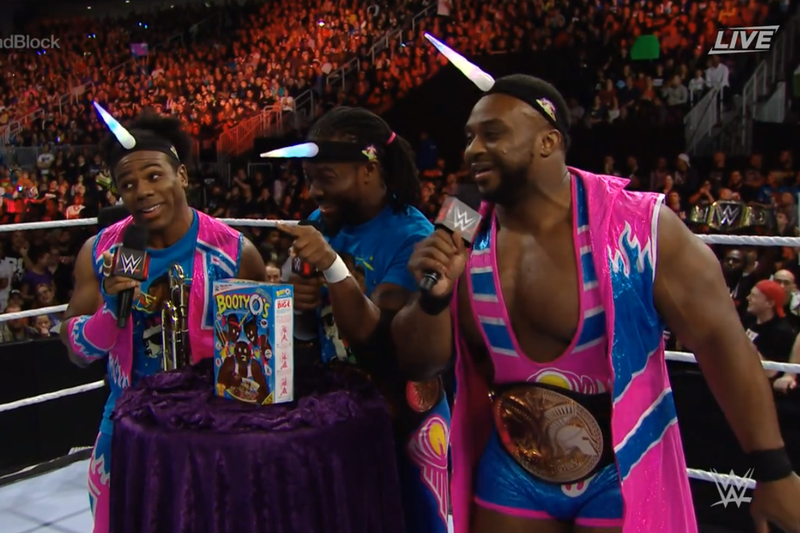 The New Day blew up in terms of popularity when they introduced Booty O’s cereal at the Roadblock PPV last year. I have to give The New Day, a lot of credit for maximizing the most of their situation and winning over the fans. Fans can tell that Big E, Xavier Woods and Xavier Woods chemistry is real and they love each other as a family and it shows every time they appear on TV. 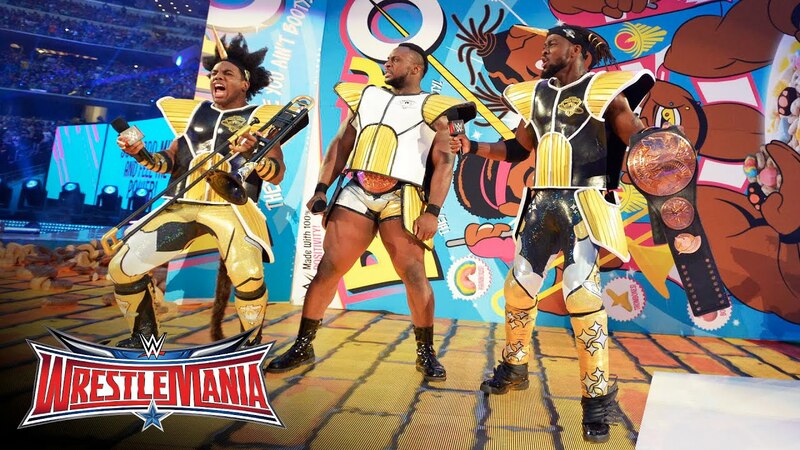 The New Day look to blaze a trail like the tag teams before them. A prime example was Tony Atlas and Rocky Johnson when they were a tag team, that was called Soul Patrol. They became the first African-American tag team in history to win the WWF Tag Team Titles back in 1983. 2016 was a magnificent year for the New Day as they garnered a lot of success and money. It will be hard for the New Day to top themselves in 2017 but only time will tell what will happen. The only guarantee is that New Day rocks, they will continue to make a difference in wrestling and they will entertain the fans. ← Should Matt Wieters be Labeled a Bust by Orioles Fans?